We know winter is not far behind when the 'birders' start to arrive in Niagara Falls to watch the annual migration of various types of birds to this area. I spotted a few birders this past weekend along the bank above the Canadian Horseshoe Falls. 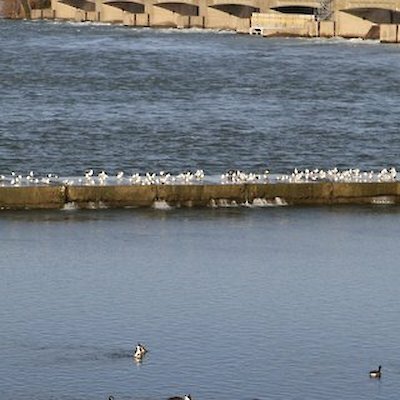 One of the 'birders (bird watchers) explained that the Niagara River Corridor was the first site in North America to be designated as a Globally Significant Important Bird Area by conservation groups in the United States and Canada. Numerous species of ducks, geese and swans can be spotted at this time of the year. Niagara also has the most diverse concentration of gulls (19 species at last count) on the continent. 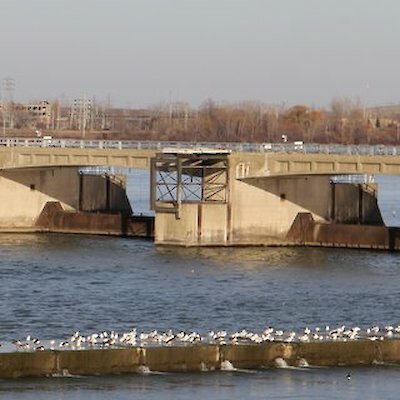 Although the birders were camera shy I did take a photograph of some of the gulls they were watching above the falls near the water control structure above the falls. You can expect to see birders throughout the cold winter months at Niagara Falls.